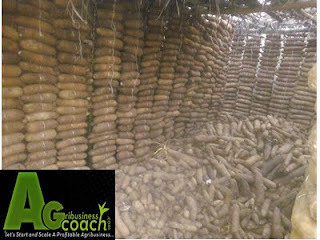 Yam farming business is a profitable agribusiness venture which you can start on a medium to large scale. Nigeria is a major producer and consumer of yams, yet we have not sustained production to support exports on a large scale. profitable despite high production costs. There are a lot of opportunities to be explored to make more money from your yam farming business venture. 1. Acquiring land for farming. The first step is to acquire land for the yam farming purpose. You should either rent land or you can buy if farmlands are cheap in your location. You can rent lands by visiting farming communities and looking for the village heads or land owners who want to lease their lands. Do not forget to obtain a written agreement to avoid future problems. You can also rent agricultural lands through your local government secretariat or state's ministry of agriculture. Note: Be sure that the areas are free from cattle herders problems and ensure you secure your farmland. 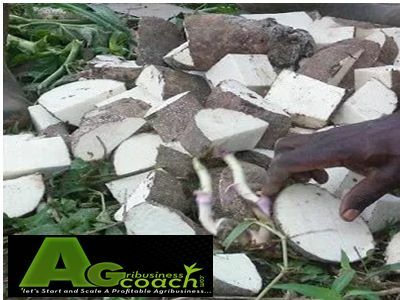 The basic land preparation for yam farming is clearing and heaping or ridge making. Land clearing is usually down before commencement of rains or before rains become steady. This is usually between December to February/March. Heaping OR ridging is done immediately or done once the rains become steady around March-June. Yam setts are bigger yam tubers that are divided into smaller units for panting purposes. Seed yams are smaller yams which usually accompany bigger yams during harvest. Seed yams are also gotten during the second harvesting of yams. When dividing yam tubers into setts make sure they are within 300 to about 600grams. note that, the bigger the yam setts the better the chance of having bigger yam tubers. Dust or dip your yam setts and seed yams in insecticides or biopesticides like wood ash and/or neem extracts. Planting should commence when rainfall is steady and the soil is adequately soaked. Planting when the rains are not steady requires mulching the heaps to avoid drying and spoilage of planted seed yams. Planting spacing for yam is normally 1m by 1m which gives 10,000 stands per hectare. However, farmers may work around the spacing to increase stands per hectare depending on the fertility of the soil and scale of production. 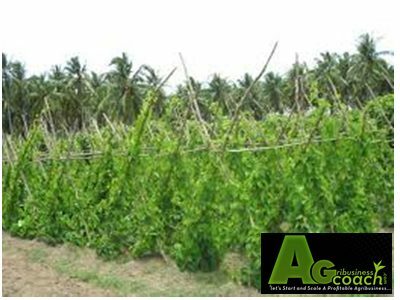 Once the yam starts sprouting and the yam vines growing, the next thing to do is to stake the yam vines so that they can get more sunlight which will convert to bigger tubers. Staking increases tuber yield 34-105% over un-staked yam. Staking could be done using bamboo and ropes of sticks. Weeding is necessary to prevent competition and stiffening of the yam crop. Weeding should be done manually or using certain selective herbicides like Diuron. Yam takes about 6 to 7 months from planting to harvesting. Harvesting starts around November and can stretch till as far as February. This is where you convert your produce to cash. Most times farmers work so hard and have nothing to sure for it. This is as a result of poor marketing strategies. Strategies on how to market your yams and make more money. 1. Do market research to find out the current price in different target markets. This helps you make a decision on where to sell. 2. Avoid middlemen: Target the wholesale buyers by yourself. Avoid random people coming to your farm to auction off your goods. Middlemen, especially market women are guilty of ripping farmers off their hard earned efforts. I suggest you harvest and take to Wholesale market by yourself. With these, you should make more money with just a little stress. You have questions or thoughts to share? I would like to hear from you. Please comment using the comment box below. PLEASE click the facebook like button below and share on Twitter.